When you hear about Simple Modern, the first thing that comes to your mind is bottles; lots of bottles. Simple Modern have established a positive reputation in the market for bottles and tumblers and that’s what we have come to associate them with. But who knew they’d be gunning for the soft-sided cooler market? Now, with their new cooler, they’re baying for blood. I have to admit, it reminds me a little of RTIC’s soft sided coolers in terms of appearance, or even the Yeti Hopper, but we’ll soon find out what sets this cooler apart. 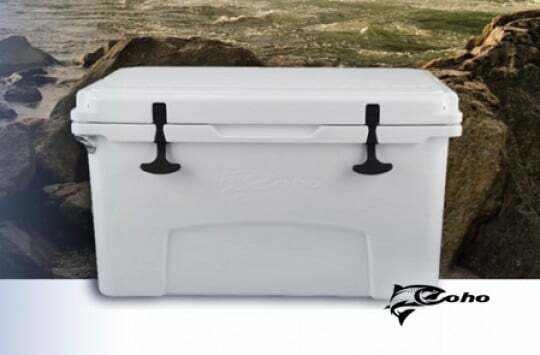 Read this Simple Modern cooler review to find out with us. It improves insulation, also since the base is wider. This is a plus, but you will find it common among all premium soft cooler bags, such as the Yeti Hopper and the RTIC Softpak. On the flipside, it does mean that Simple Modern are clearly trying to make a premium cooler bag here. The next major thing we notice are the convenience features. The storage pocket on the side is pretty nifty and allows you to carry extra stuff that you don’t want to have in your hand all the time. It also features the same leak-resistant zipper as the cooler itself. A bit of overkill, but we’re not complaining! 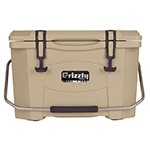 There’s also an adjustable strap and tri-fold side handles on the Soft Modern cooler bag. 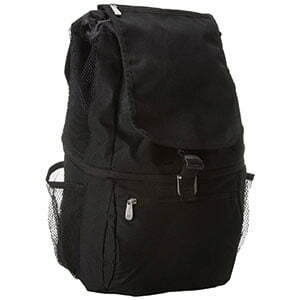 These are meant to make carrying this thing, which is supposed to be able to carry up to 30 liters, an easy job. They certainly get the job done as they’re extremely comfortable. Many reviewers on Amazon point out how helpful the shoulder strap is, particularly on the heavier 30-liter bag which can be difficult to carry when full. Something else about the design that really caught our eye was the way the bag easily fits the contours of the body as you carry it. That is pretty cool as it makes it extra easy to carry it around. This baby is made of high density closed cell foam. How thick is that foam? 2 inches thick. That means you don’t have to worry about insulation getting compromised. The flip lid is more important for another reason, though: It gives you easy access to the cooler inside. What’s the point of having a great functioning cooler if accessibility is going to be a problem, right? 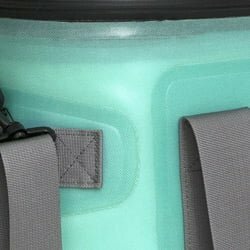 This is one of the best features of the Simple Modern cooler bag. The leak resistant zipper makes sure there’s no liquid sweating through and creating wet stains wherever you place the bag. 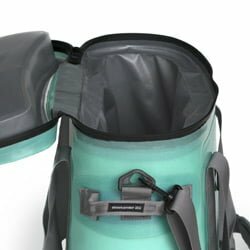 It is well designed, ensuring the insulation remains just right and your ice stays cold as long as the zipper is fully zipped up. One of the biggest complaints about the Yeti Hopper was actually that the zipper was difficult to work. It was tough, which was a good thing, but it was turning out to be too tough to operate. 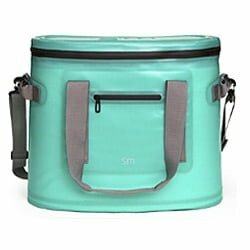 The zipper on the Simple Modern Cooler has no such problems. The zipper handle has a strong grip and is easy to handle while compromising nothing on the insulation. It helps with insulation as the thick seams keep the icebox insulated. When it comes to colors, there isn’t much variety with the Simple Modern cooler. It only comes in one option, which is Caribbean blue. If you don’t mind the upbeat beach-like color, then you’re good to go. Otherwise, you might want to go for a brand with more color options. Simple Modern is actually pretty unique in this respect. 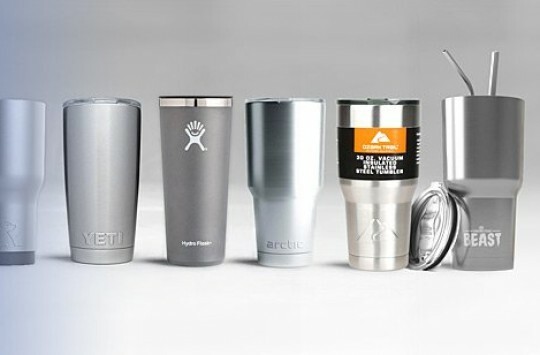 Most brands out there have two color options for their coolers: grey and camo. Simple Modern’s cooler is neither, which is good or bad, depending on your perspective. There are two size options: The 20-liter Weekender soft cooler bag and the 30-liter Weekender soft cooler bag. Both are pretty good and can cover most of the needs of the average person going out for a weekend. If you want something larger, you might want to look into other brands, like the RTIC Softpak and the Yeti Hopper. Simple Modern already has a major win over the Yeti Hopper or rather a Hopper Flip: It’s cheaper by almost two thirds! For a bag that costs a third of what the Yeti Hopper Flop does, it is surprisingly high quality. Most of the Amazon reviews have nothing but good things to say and we also loved the bag after trying it out. How long does the Ice Last? 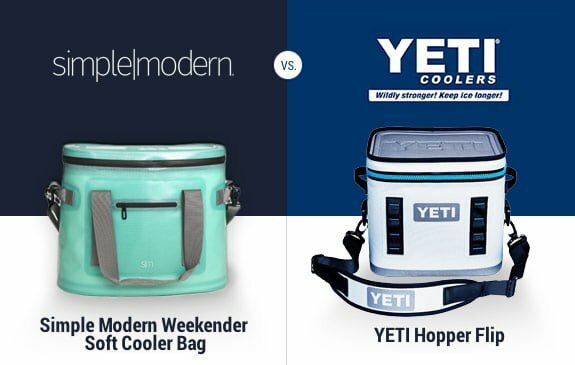 The Yeti Hopper is supposed to hold ice for 3-5 days, depending on conditions like weather, while the Simple Modern Weekender soft cooler is supposed to hold it for up to 3 days. We didn’t get to perform any official tests on the new Yeti Hopper but managed to do one with the Simple Modern Weekender soft cooler. We filled the 20-liter bag with ice and kept it out in the yard for almost 2 days. The ice was still frozen when we checked. So Simple Modern’s claim is likely to be correct – again, depending on the outside temperature, whether you keep it in the shadow or exposed to the sun and so on. You may also want to use ice packs instead of ice but if you do so, make sure you first get some good ice packs as the low-quality ones tend to get warm much faster. Anyway, that amount of ice retention time is reasonable for most of the purposes you’d probably need a soft cooler for. 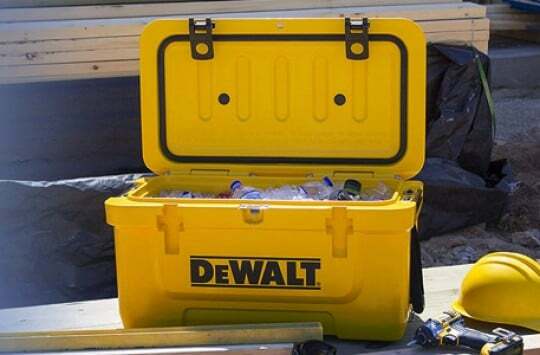 Anything more heavy duty than that and you’ll have to get yourself a heavy duty cooler. One of the major selling points of the Yeti Hopper is its sweat-proof zipper. It’s actually pretty good, and every Yeti Hopper even comes with extra lubricant to help keep the zipper in good working condition. It’s pretty tough though, and can be difficult to operate. The zipper on the Simple Modern soft cooler manages to achieve the same level of leak resistance without being nearly impossible to operate. Here the Simple Modern Weekender Soft Cooler wins hands down. The ergonomic contour, as well as the tapering on the side, just makes it a delight to carry, not to mention the tough but comfortable shoulder straps and side handles. 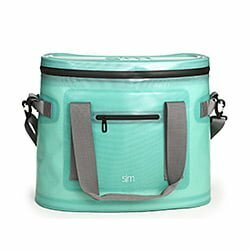 We feel that, for the price, the Simple Modern Weekender Soft Cooler certainly has a lot more to offer than the Yeti Hopper. It’s our clear winner. 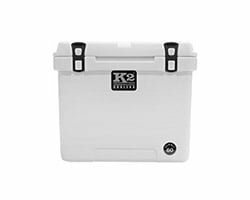 More information on Yeti coolers can be found in a review right here. 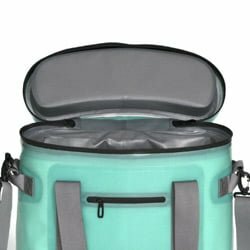 Where to buy Simple Modern Soft Cooler Bags? 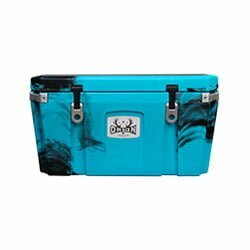 Where to get this cooler from? One place we wholeheartedly recommend to get your Simple Modern soft cooler is Amazon. They have plenty of customer reviews that will give you even more information than this review on what to really expect with your product. You also have buyer protection, which means you can get a refund if you aren’t satisfied with your purchase. You can also compare prices from different sellers and look for the good deal before you make your purchase. Simple Modern, while being new players in the soft cooler market, have certainly delivered a fresh product. Their Weekender soft cooler bag does more than it’s expected to at an affordable price for most. This bag is for everyone, from the weekend camper to the beach goer. As long as you want your drinks chilled, you can have them chilled simply with the Weekender.